Sorry for the delay in posting this, Friday was just nuts and yesterday I was up at 5:30am to get to Toronto for opening at the Knitter’s Frolic. Back to yesterday’s scheduled program. 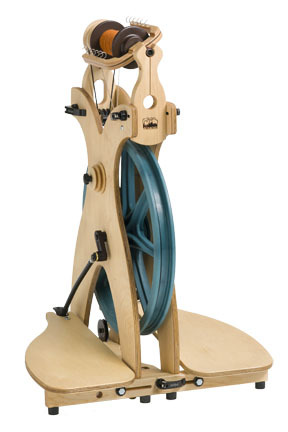 Right now the fiber object I covet most is a new spinning wheel. It’s not that my current wheel isn’t great it just isn’t great for me. 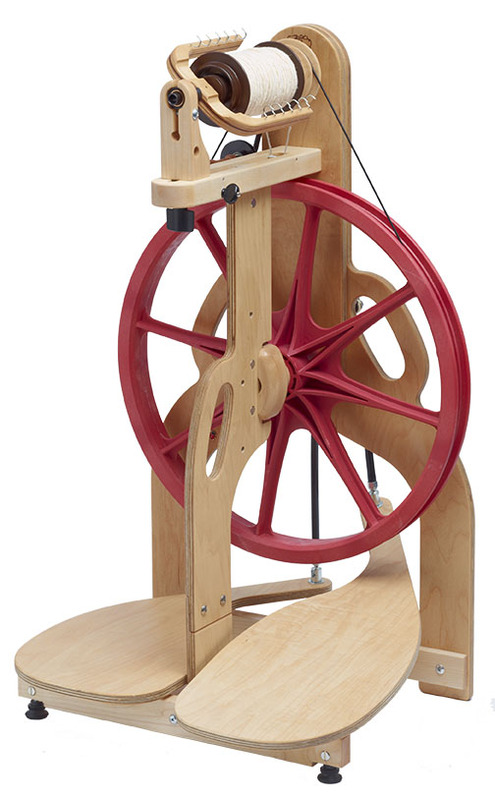 The treadles are too close together for my hip and so spinning for long periods of time makes my knees twinge. I’m on a hunt for a new wheel and a home for my current one and right now I covet having one that works well for me. Last summer I had a chance to spend some time spinning on a few different Schacht wheels and all three (the Ladybug, the Sidekick and the Matchless) all felt like a dream. I found that the Sidekick worked best, however the higher cost and lack of versatility (no double drive) means that it is great as a second or travel wheel. I think I want to get a Ladybug but instead of making the same mistake as last time, I’m going to try out a few different wheels before investing. I think I’m going to head to Gemini Fibres one weekend in the next month or two as they have the best selection of wheels around. The are about an hour and a half drive south of me so it will make for a nice Saturday adventure. 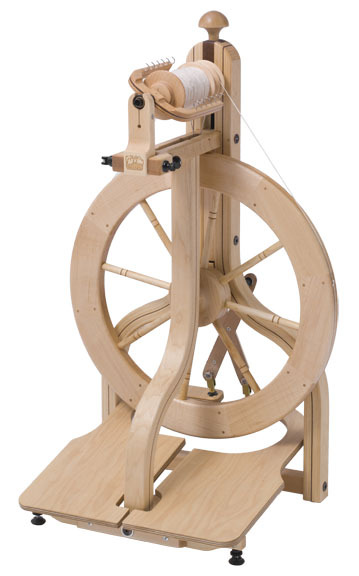 However, I’m using the guild loom for a table weaving class in June so if I’m not careful a table loom might be the next tool to covet or possibly a drum carder as I love spinning from carded batts. What can I say, I have a problem. 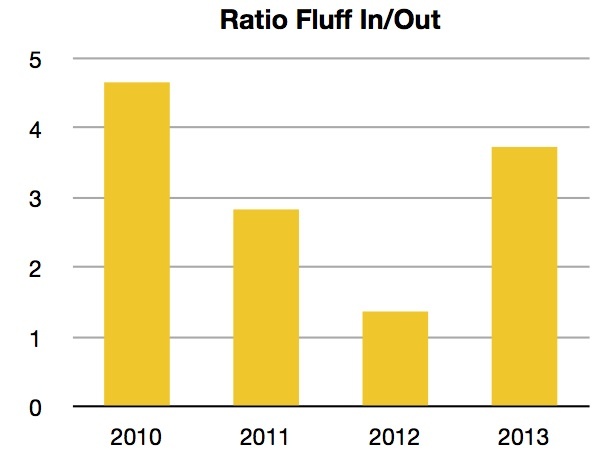 t’s the annual challenge to blog in a way different to how you normally blog. You may choose to create a podcast, or vlog, create a wordless post or write in verse. You’ve already stretched your wings with an infographic, now it’s time to freestyle. You can post on any topic you like, but be sure to post in a style different from your usual blog presentation. There’s not too much guidance for this one simply because the more varied the posts are on this day, the wider the sources of information for other bloggers will be. Bonus points if you manage to work your house animal in somehow. 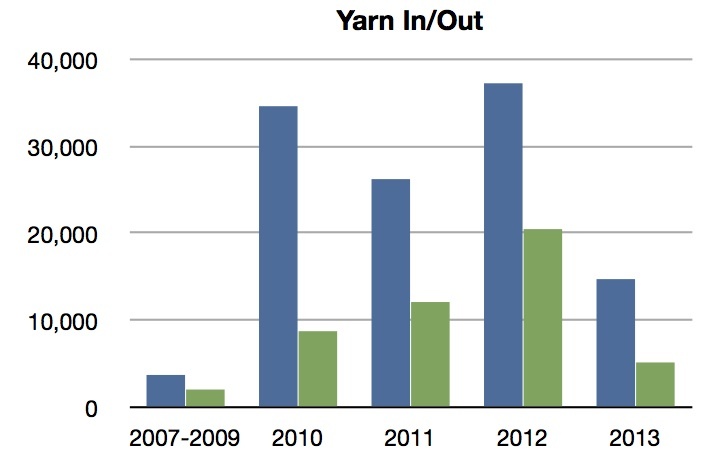 Well, I decided to go to the gym instead of getting photos in the daylight (also it’s raining/snowing here again today so it was a Debbie Downer of a day), so I don’t know what my stash colorwheel looks like today, but here is the overall survey of colors from my exported Ravelry data. So it looks like I’ve managed to make projects in a relative proportion to what I seem to buy. 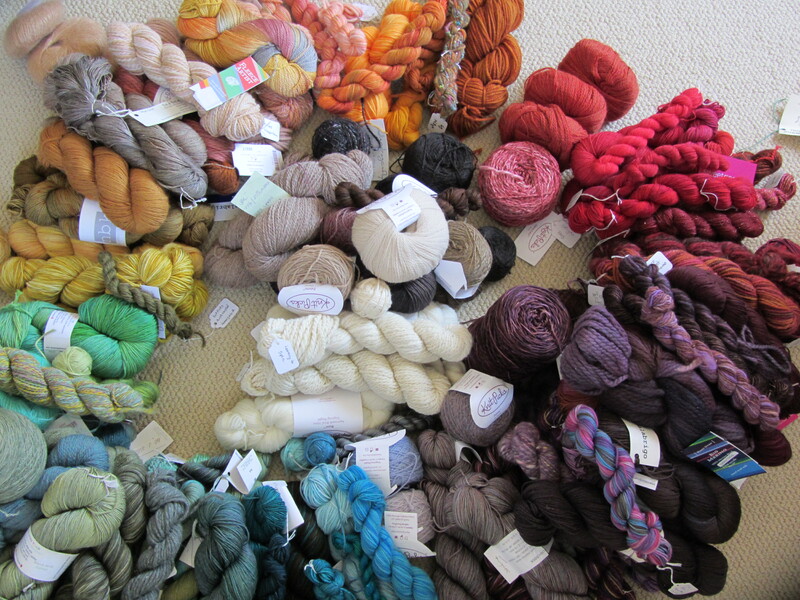 Also, I’m surprised how proportional my stash is, color wise, I was expecting to see more purple and green. These are two colors I naturally gravitate towards when I’m putting yarn in my shopping cart (even if I don’t buy it). I would like to expand my palette but that may be more a question of tint and tone rather than hue as I gravitate towards mostly dark, fall/winter shades rather than fun, clear tones. So the story of color is that I totally buy on instinct and it seems I’m just as haphazard in using those colors in projects. 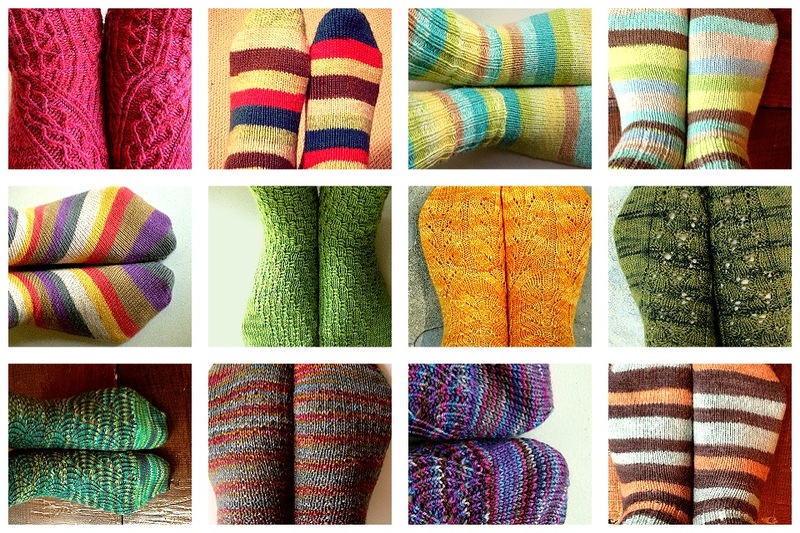 Also, as someone who knits accessories (rather than sweaters) I think I have a bit more freedom to be random with my colors because I really doesn’t matter if the color “works” for you if you are wearing it as socks, and I do love me some wild colored socks. Your task today is to either think of or research a project that embodies that house/animal. It could be a knitting or crochet pattern – either of the animal itself or something that makes you think of the qualities of that house. Alternatively it could be a type or colour of yarn, or a single button. Whatever you choose, decide upon a project and blog about how and why it relates to your house/creature. You do not have to make this project! It is simply an exercise in blogging about how you come to decide upon what projects to make. Try and blog about the journey which inspiration and investigating patterns, yarns, stitches, (etc) can often guide you through. You may wish to make a collage or ‘mood board’ to present several ideas, or even sketch out your own design. I find myself pulled in two different directions on this topic, one is to embrace the animal of the Monkey and the other is to follow the path of what I see the House of Monkey as representing, challenge. The first path is the monkey itself. In the fall I got back into Craftsy classes (mostly after they launched an iPad app that makes them much more enjoyable to view in my opinion) and I got hooked on the idea of making Amigurumi. If you aren’t familiar, amigurumi are crocheted or knitted toys. The style (and term) originated in Japan and are quite popular. I enjoy crocheting but I don’t love the fabric for garments and a person really doesn’t need that many afghans so amigurumi were a great choice for me. A couple of weeks ago I finished up another piece of amigurumi, a really cute whale and gave it to my boss who has been having a pretty rough go of it. I asked her what her son’s favorite animal is and it turns out that it is a … monkey (I know, you’re shocked). 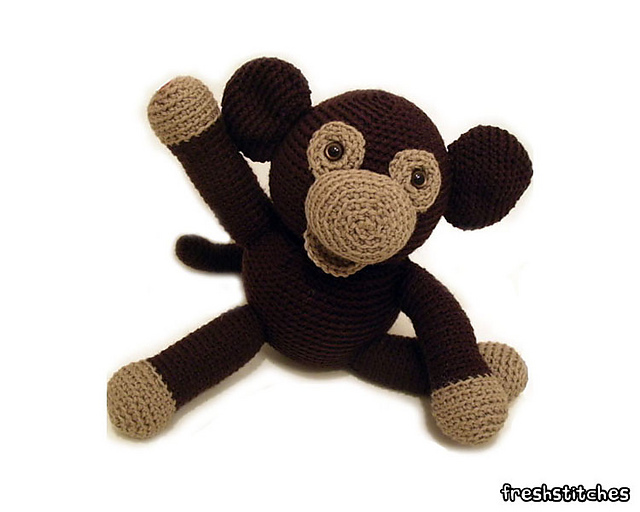 So my first mascot project is Owen the Monkey by Stacy Trock of FreshStitches. I will be making it as my next amigurumi, the little boy it’s intended for could use a a stuffed version of his favorite creature. Following the spirit of the monkey rather than a literal monkey, my mascot project is one that challenges me and forces me to expand my skills. To me there are two potential mascot projects, one is a stranded colorwork project and the other is a design project. Stranded colorwork is something that I have done but I don’t feel confident in it and it’s not something I do easily or very well. So I should probably find a stranded project to do to re-build me confidence in the area, maybe a pair of fingerless mitts. I wear my Endpaper Mitts all the time and they hardly show any wear. 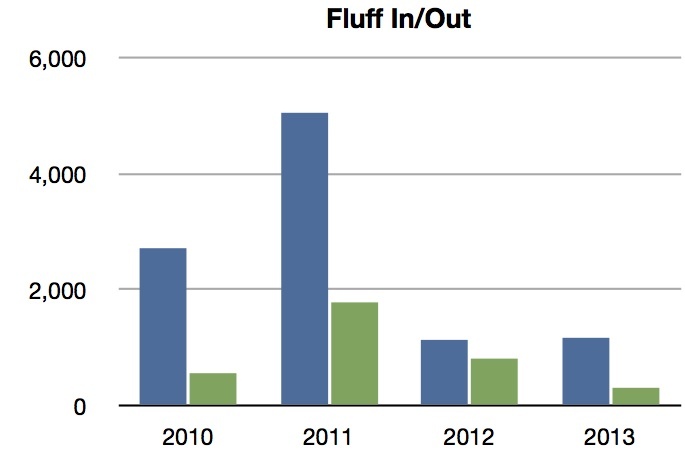 I know that many moons ago I had queued and favorited other charts that looked fantastic on that mitt pattern. 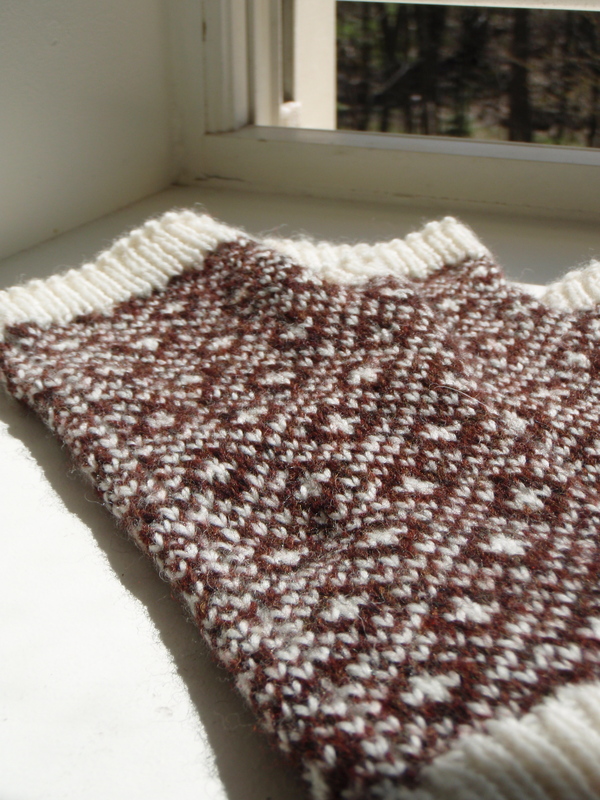 Maybe that is my project, it would require some of my own design work and a part of knitting that I struggle with. Or maybe its going to be knuckling down and figuring out and writing down the pattern for a cowl I dreamt up a month or so ago. This isn’t the greatest shot of the pattern, mostly because this was the only yarn in bulky weight I had on hand when inspiration struck. It is without a doubt a fashion cowl rather than a warmth cowl, but I’m pretty impressed with myself. So this is the other option on the other path. I can see all these being feesible projects for over the next few months, as long as I can stay on top of my sock knitting (I’ve learned I always need to have a pair of “fancy” socks on the needles) and the wedding shawls I need to make for my sister’s wedding in October. So choose your house. You may be a combination of more than one of these noble beasts, but think about which house best embodies your qualities and declare your place. You can use one of the graphics above to display your house crest, if you like (though this is totally optional). Post about your crafting outlook/style and why you chose this house. The descriptions have been purposefully written to seem quite vague, but that’s really because they are only the merest starting point to prompt bloggers to write about in which ways they identify themselves within their craft(s). 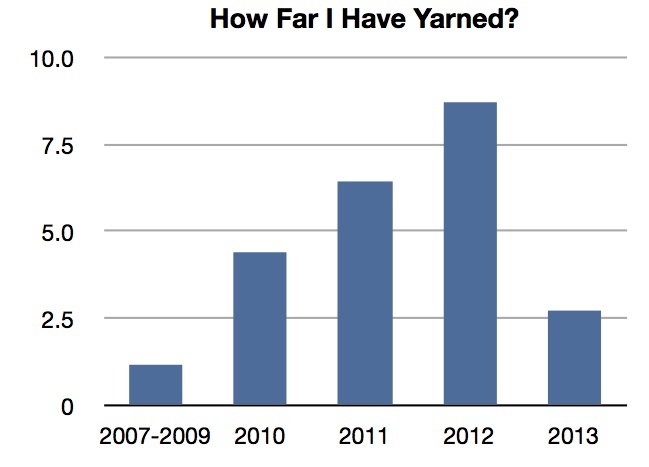 This year’s Knitting and Crochet Blog Week has a different flavor than in past years. This year we must first sort ourselves into houses and for me it was a pretty clear choice to be in the House of Monkey. 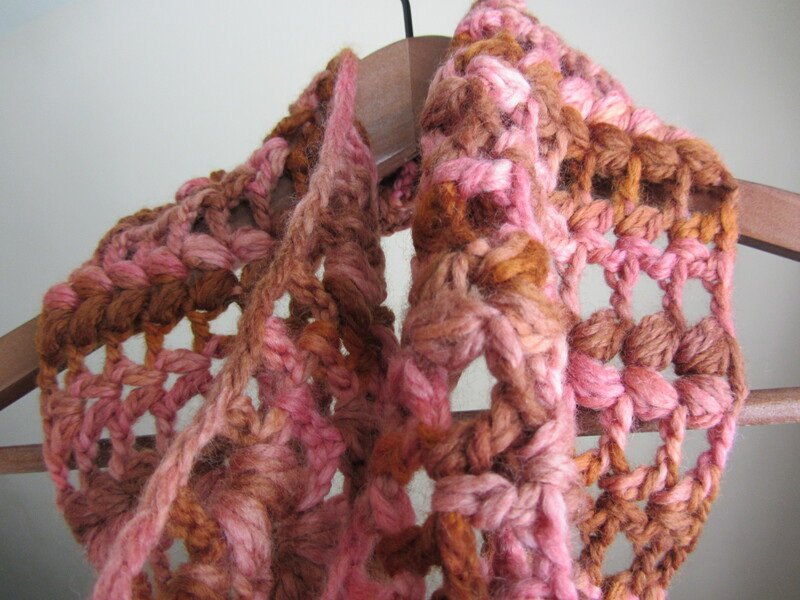 I’m a process knitter, while I like having finished objects to wear, for me knitting (and crocheting, and spinning and weaving) are an activity in itself. 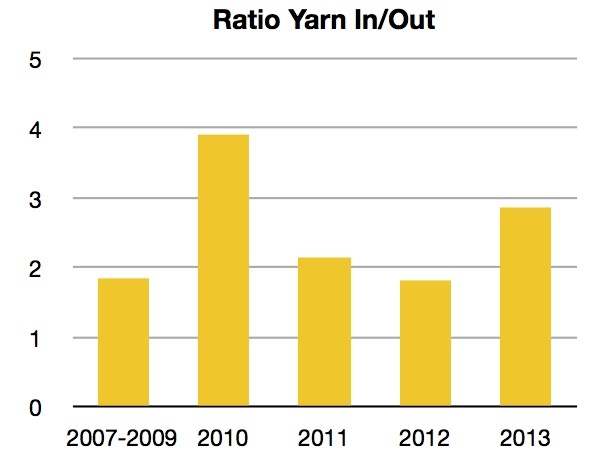 I like ramping up the skill level, I like learning new techniques and skills and I do go out of my way to select patterns that use new (to me) stitch patterns, or exotic shaping. This is part of why I have continued to add crafts, in June I’m taking a table weaving workshop with a borrowed loom because I want to learn more things. The challenge for me these days is that I’m getting quite comfortable and confident in many of the techniques that I’m finding it tough to find “new” skills (at least in knitting). I think the next big challenge for me is designing. I have a few ideas and am getting the hang of improving/adapting patterns to suit my needs so I think I’m on track for the next stage. To see more of the projects I have finished over the past couple of years you can check out Ravelry (sign-up required) or here on the blog.